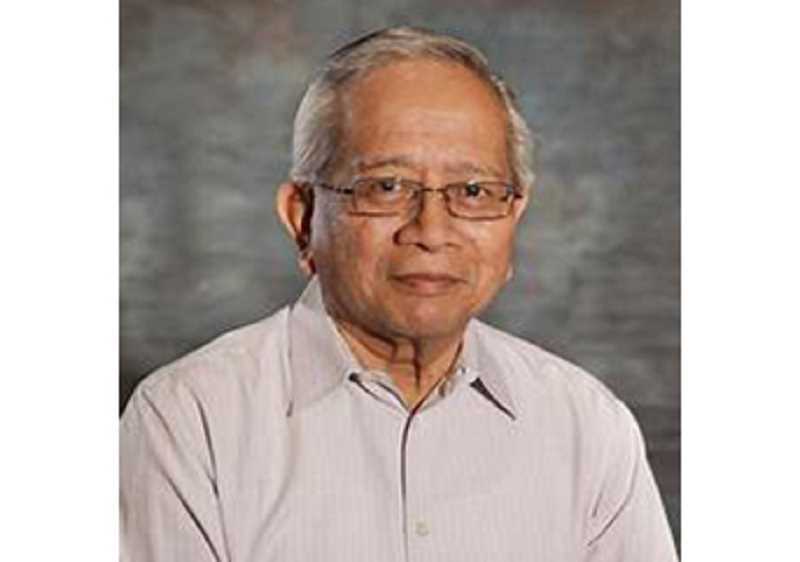 A longtime Warm Springs leader, Charles "Jody" Calica, passed away March 18, from a respiratory illness. Over the past three decades, Calica, 71, had served as the chief operations officer, the secretary-treasurer and chief executive officer for the Confederated Tribes of Warm Springs, in addition to serving as the general manager of the tribes' Natural Resources Branch. 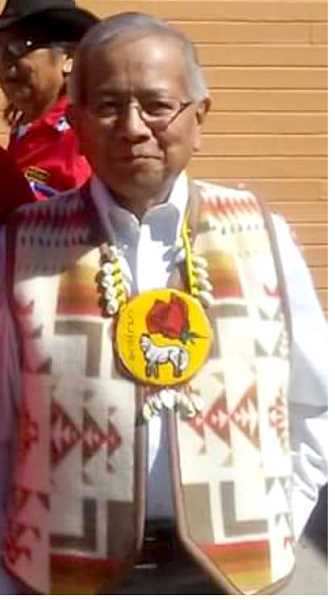 At the time of his death, he was serving as the vice chairman on the Warm Springs Tribal Council, and running for re-election. His dedication and perseverance were well-known and well-respected. "My dad never spent much time speaking about his accomplishments, but he had many," said his daughter, Direlle Calica, who was a co-owner with her father in Kanim Associates, a consulting firm with offices in Warm Springs, Portland and Boulder, Colorado. "He would often finish up or start an idea or plant a seed and hand it off to some young hopeful," she said. "Examples of this include his work with the late Jim Noteboom on carbon sequestration, when carbon sequestration was not en vogue, but a new controversial concept." Calica was also responsible for the tribes' acquisition of a canoe for tribal youths. "He went with my family and his granddaughter on the Paddle to Cowichan in British Columbia, and he came back inspired and wanted the youth of Warm Springs to experience that and to do so he found funding in the tribal budget to purchase a canoe," she said. One of the young people he influenced was Carina Miller, who served with him on Tribal Council. "Jody Calica was one of the people who planted a seed that I was capable of becoming one of our leaders," she said. "He and I did not always agree and see eye to eye, but I have deep respect for his knowledge and the relationships he built outside the tribe. I know his legacy will continue to live on and serve us for many more years." Before his death, he was working to form partnerships to address the Warm Springs community's infrastructure needs, Direlle Calica said. Three years ago, he founded the Changing Currents Tribal Water Summit, which started as a partnership between the Affiliated Tribes of Northwest Indians, University of Oregon, Meyer Memorial Trust, and Oregon Community Foundation. "His work in infrastructure and water policy is continuing now and will benefit Warm Springs and tribes throughout Oregon and the Pacific Northwest," she said. Born in Warm Springs, Calica attended school in Simnasho, Warm Springs and Madras, where he graduated from Madras Union High School in 1965. After high school, he enlisted in the U.S. Navy, and served in Vietnam. When he returned from the war in 1968, he first attended Central Oregon Community College, and then transferred to Portland State University, and later, the University of Oregon, and Oregon State University, where he earned a Bachelor of Science in Education in 1974. In 1973, besides continuing his education, Calica started working at Madras High School as a guidance counselor. He remained there until he was persuaded to become the tribes' education director in 1976. "In the late 1988-1989, he transitioned from education into his role as the general manager over the tribes' Natural Resources Branch," his daughter recalled. "This is when his career really thrived and he served on the State Parks Commission and other boards and appointments working on natural resources issues for the tribe, intertribally and nationally. He was instrumental in the collaborative work on water resources, fisheries, forestry, timber, and specifically, the Deschutes River Conservancy." After Calica suffered from respiratory problems in February, and ended up at St. Charles with pneumonia, his granddaughter, Gladys Graybael, took off time to care for him. Even though he was on oxygen, she said, "On the week of March 11, he felt like he was well enough to go back to work. He went for one day."